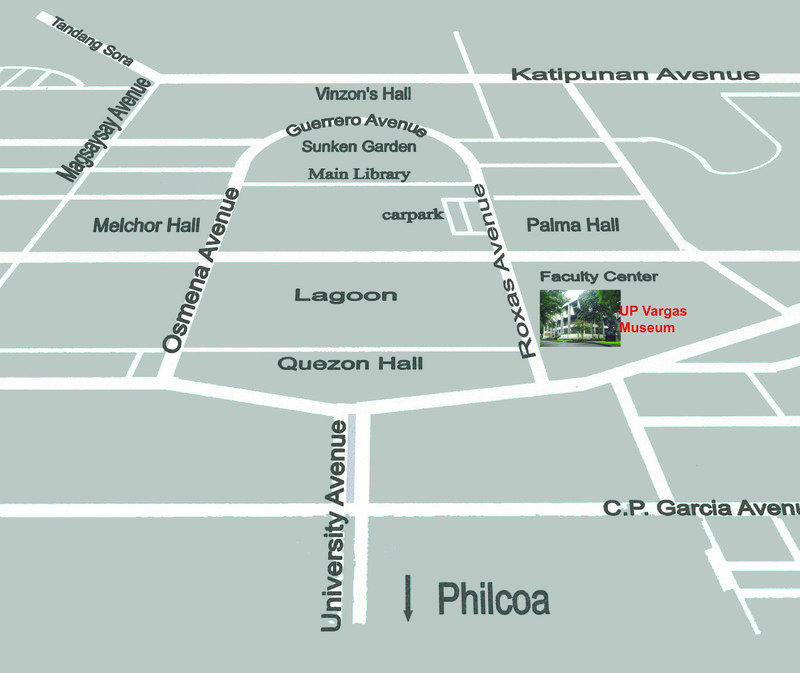 From Commonwealth Avenue turn right at the University Avenue, make a right turn at E. Delos Santos Avenue, and then turn left to Roxas Avenue to the Vargas Museum and Filipiniana Research Center, which is located on your right. From Katipunan Avenue turn to Magsaysay Avenue, make a left turn at E. Delos SAntos Avenue, and then turn left to Roxas Avenue to the Vargas Museum and Filipiniana Research Center, which is located on your right. From Commonwealth Avenue get off at Jollibee Philcoa, take UP Campus bound jeepney and get off at the Vargas Museum and Filipiniana Research Center. It is the first building on the right, immediately after the jeepney turns left at Roxas Avenue after the Oblation. Take a jeepney headed for UP Campus along Katipunan Avenue, westbound or away from Aurora Blvd., and get down at the Vargas Museum and Filipiniana Research Center, which is located on your right after the jeepney turns left at Roxas Avenue after the Oblation. How can i get there on the museum if i came from subic?